Found of EMC-BOWERY public relation's & Los Angeles Times best selling author. JACK KETSOYAN is widely known as one of LA’s most sought after publicists. He has earned his place as an elite businessman in the entertainment industry. 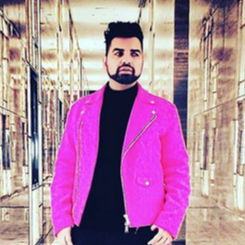 With over fifteen years of experience, he has worked with some of the largest agencies including Huvane Baum Halls and PMK-HBH, and molded the careers of many A-list celebrities such as Helen Mirren, Paris Hilton, Rachel Weitz, Kristin Cavallari, Pussycat Dolls, and Erika Jayne, among others. After gaining a long list of loyal clients, Jack opened his own boutique agency titled EMC BOWERY, where he focuses on building careers and crisis management. Jack co-wrote the LA Times Bestseller Blind Item with veteran journalist Kevin Dickson. Guilty Pleasure is its sequel. Currently, Jack continues to expand his firm EMC Bowery, spends time with clients, and creates content for his novels.